PLUSCO 859 Multi-Purpose Grease is a multi purpose lithium base lubricant formulated for applications to industrial equipment, mobile equipment and tools. It is an economical version of an industrial lubricant suited for normal temperature and speed conditions. It is ideally suited for applications requiring frequent regressing of equipment subjected to a contaminating environment. PLUSCO 859 Multi-Purpose Grease is water resistant, contains rust and corrosion inhibitors and resists wear from extreme pressure areas. PLUSCO 859 provides good cool weather pump-ability and resists the effects of oxidation. PLUSCO 859 Multi-Purpose Grease provides good stability over varying operating conditions. 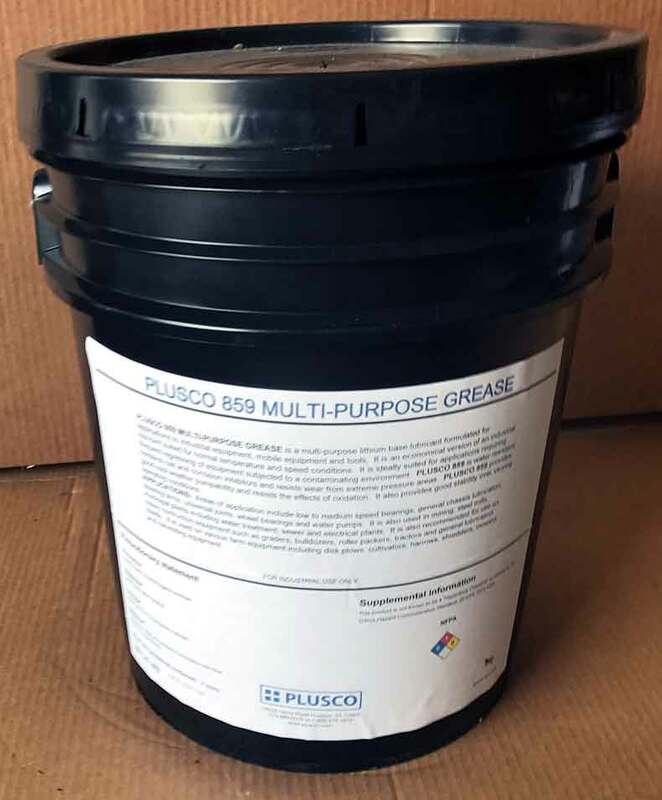 Areas of applications for PLUSCO 859 Multi-Purpose Grease include low to medium speed bearings, general chassis lubrication, steering arms, universal joints, wheel bearings and water pumps. It is also used in mining, steel mills, municipal plants including water treatment, sewer and electrical generating plants. It is also recommended for use on heavy construction equipment such as graders, bulldozers, roller packers, tractors, and general lubrication needs. It is used on various farm equipment including disk plows, cultivators, harrows, shredders, mowers, and harvesting equipment.